ESSA completed the final evaluation of a £4.95 million project designed to advance climate adaptation to benefit the vulnerable poor in the Caribbean through a combination of institutional strengthening and local-level interventions (salt water reverse osmosis systems, agroforestry and improved fisheries and coral reef diversity). 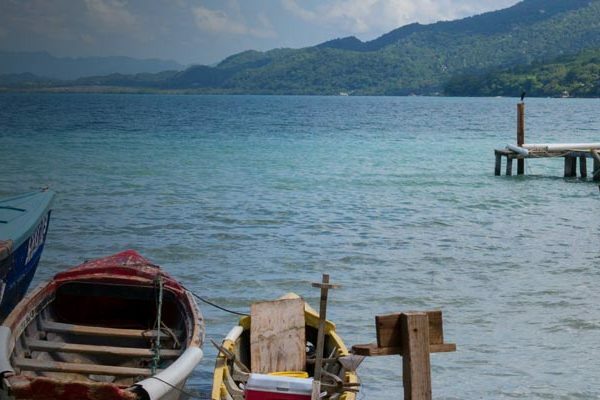 Climate change impacts and natural disasters are profoundly affecting communities, ecosystems and sectors in the Caribbean, depleting national budgets and exacerbating poverty. The frequency and severity of these hazards are expected to increase as climate change intensifies. The Caribbean Community Climate Change Centre (the Centre) coordinates the Caribbean Community (CARICOM) countries’ responses to climate change and successfully mobilized £4.95 million of funding from the United Kingdom to advance the region’s climate resilience agenda through a 5-year project. ESSA led the final evaluation of the UK-sponsored project. Evaluation objectives were to: (1) assess the results of the IP Project against anticipated objectives and targets, (2) assess the IP project’s performance against criteria of relevance, effectiveness, efficiency, impact, sustainability / replicability and gender; (3) capture implementation lessons; and (4) provide recommendations for future planning. We used a mixed-methods approach that included documentation reviews, interviews and focus group discussions with over 120 community members, government officials and formal and informal project implementation partners, a user survey and re-analysis of biological monitoring data. The survey targeted participants trained in the use of the CCORAL risk screening tool to gather views on its value and utility to national governments for adaptation mainstreaming. Increasing the resilience of coastal Caribbean fishing communities to the impacts of climate change was a chief component of the project. Its evaluation involved visiting project sites in Jamaica, St. Lucia, Grenada, and St. Vincent and the Grenadines, independent analysis of fish monitoring data, direct observation of marine protected areas and numerous field interviews. The major output of the project was a report with (1) evaluation findings on the project’s performance; (2) lessons learned on the implementation of regional programs, ways to achieve social change and sustain the benefits of adaptation measures implemented locally; and (3) recommendations on the project’s delivery model, the Centre’s capacity to deliver, national and local efforts to advance adaptation in the region. This project involved a substantial field component travelling to project countries so that members of the ESSA team could interview beneficiaries and collect other evidence of the project’s benefits and impacts. 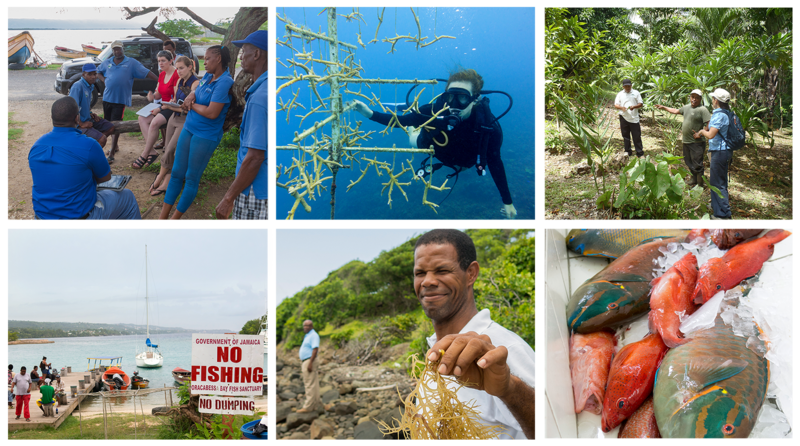 This photo montage shows a range of activities supported by this project: Counterclockwise from top right, Dr. Natascia Tamburello and Heather Stager interviewing local marine protected area managers in Jamaica; Dr. Natascia Tamburello inspecting a coral nursery project established to replenish damaged reef habitat in Jamaica; Jimena Eyzaguirre inspecting a sustainable agroforestry project in Belize; catch from the mixed-species reef fishery on sale at a local fish market in St. Vincent and the Grenadines; an aquaculture operator showing off his seaweed crop in St. Lucia; and local fishers in Jamaica cleaning their offshore catch at a local pier adjacent to a nearshore marine protected area supported by this project.